We had Cuban Picadillo for dinner and I had some lime juice left over. I had three red pears and I thought that the juice, with some rum, would make a nice Cuban twist on roasted pears. Red pears are a variety of d’Anjou pears. Note: You want half a pear per person. Scale up the other ingredients to your number of diners. Tip: Take a small slice off the bottom of the pear so that it will sit upright in the pan. 3. 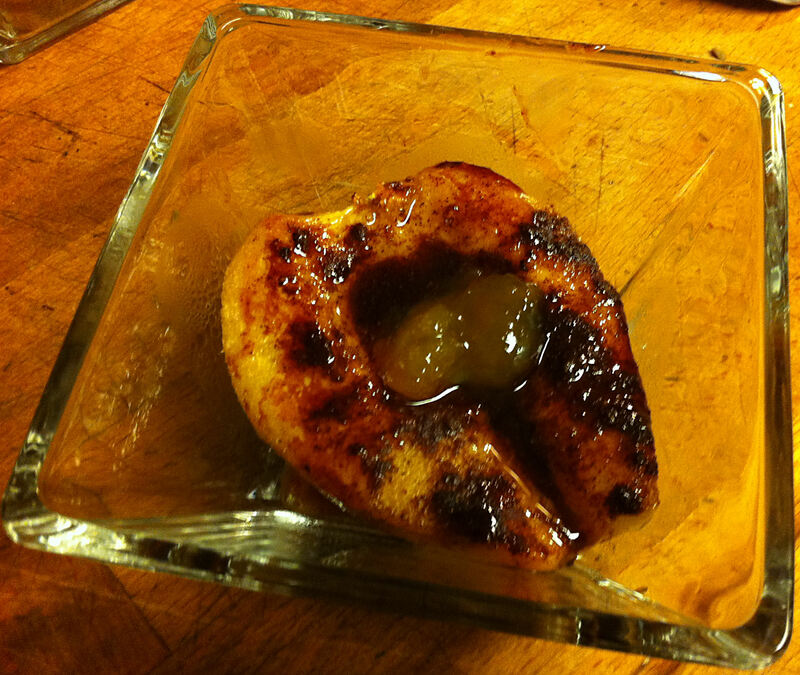 Place one teaspoon of brown sugar in the core hole of each pear half and spread the sugar over the top of the pear. 4. Sprinkle the top of each pear with cinnamon. 5. Pour one teaspoon of lime juice over each pear half. 6. Pour one teaspoon of rum over each pear half. 7. Place a thin pat of butter in the core hole of each pear half. 8. Bake the pears for 35 minutes. 9. Place each pear half in an individual bowl and spoon any sauce left in the pan over the pears. 10. grate some fresh nutmeg over the pear.and serve.